If you’ve been homeschooled any length of time, you already understand how many choices there are for homeschooling the high school years. or, anything along the vast continuum of options in between. Having options is the trademark of homeschooling — freedom of choice. Right? Right. Also keep in mind as you’re reading this, that no matter what kind of homeschooler you are, there is a college out there for you — uniquely you. Here’s the catch, though. Colleges are going to want to know who you are, what you took in high school, what you’ve been doing so far, and — of particular interest to them – what you’ll bring to the table when you get there. Unless you select an open admissions college, one that admits every student who applies, or one with no requirements whatsoever (pretty hard to find), it’s a fact. You can’t get around it. At least not as of this writing. So, freedom aside, let’s talk reality. The truth is, colleges want to know you’ve covered the basics — English, math, science, history, foreign language, and so on. So, whether you’re learning these things in the form of traditional high school courses (lessons, books or lectures), or whether you’re learning this stuff through exploration and experiencing them on your own, they need to be there. On your transcript. By the time you apply. Which means, if you’re applying to college, you should probably be taking those kinds of classes in high school, too. Do you need to do all of them? Exactly the same ones? Can you take more, less or different classes? No, no and yes. And you can learn the material differently than other teens, too. But the reality is that admissions officers — at most colleges – expect to see mastery in those areas on a high school transcript. So you’ll need to cover those skills, too. Your job now is to figure out how and when you’ll knock those classes out during high school. So you’ve got the same, or similar, or more of the same stuff as other applicants to. You can do it, you just need to start planning. Here’s the list of courses you’ll need to complete if you’re applying to college. 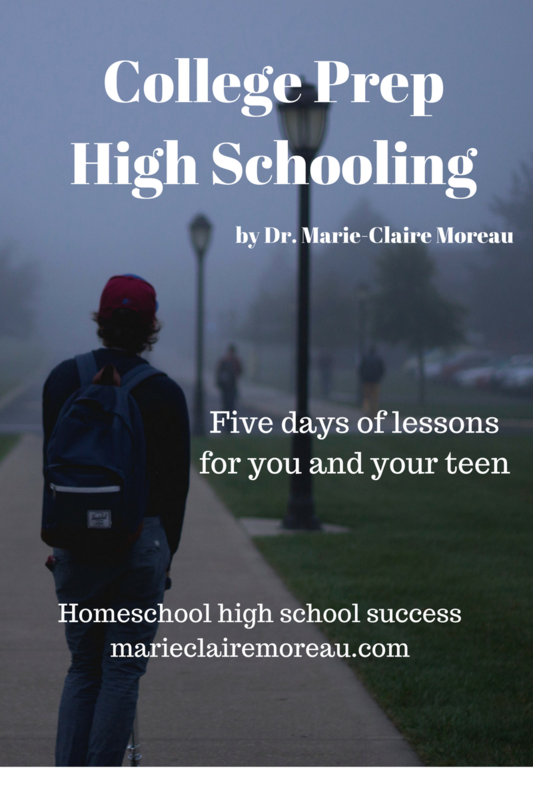 Dr. Marie-Claire Moreau is a college professor who traded in her tenure to become a homeschool mom 20+ years ago. A homeschool pioneer and the founder of many groups and organizations, she works to advance home education, and is an outspoken supporter of education reform coast to coast. Her book, Suddenly Homeschooling: A Quick Start Guide to Legally Homeschool in Two Weeks, was industry-acclaimed for illustrating how homeschooling can rescue children and families from the public school system, and how anyone can begin homeschooling within a limited time-frame, with no teaching background whatsoever. A writer, a homeschool leader, and a women’s life coach, Marie-Claire mentors in a variety of areas that impact health, education and lifestyle. A conference speaker, she has appeared at FPEA, H.E.R.I., Home Education Council of America, The Luminous Mind, Vintage Homeschool Moms, iHomeschool Network, and many other events. 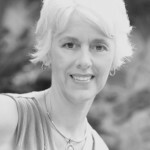 Her articles have appeared in and on Holistic Parenting, CONNECT,Homefires, Homemaking Cottage, Kiwi, Circle of Moms, and hundreds of sites and blogs nationwide. Marie-Claire can be reached at contactmarieclaire@gmail.com. Her latest book, The Ultimate Guide to Florida Homeschooling, is now available on Amazon.